Congratulations to the 2017 InnoVision Awards Recipients! The 2017 InnoVision Awards was held on November 9, 2017 at the Spartanburg Marriott in Spartanburg, SC. There were 3 finalists in each for our six categories: Technology Integration, New Technology Development, Education, Community Service, Small Enterprise, and Sustainability. Singular Sleep is the first ever “virtual” sleep center. We utilize telemedicine to diagnose and treat people with sleep disorders, such as sleep apnea, throughout South Carolina. Singular Sleep’s model combines three different technologies to provide a 360 degree, comprehensive sleep disorder management solution. First, we use new technology that allows us to diagnose sleep apnea in the comfort of the patient’s own home. Second, patients are able to consult with our board-certified sleep physician without having to go to a doctor’s office via our secure, IPAA compliant web portal to get diagnosed and treated for sleep disorders. Third, we have a durable medical equipment wing of the company that supplies cutting edge treatments for sleep disorders, such as CPAP, that we can monitor remotely to ensure effective treatment of the medical disorder. • Singular Sleep is the first-ever “virtual sleep clinic” and provides comprehensive sleep apnea solutions without patients ever having to leave their homes. • Dr. Krainin is licensed to practice medicine in 42 states. • Singular Sleep is a true “family business:” Dr. Krainin’s wife, Jacqueline, is the office manager; his father, John, assists with logistics; and infant son Asher “models” for the company’s website and Facebook page. • The strangest place that anyone has ever had a consultation with Dr. Krainin was on an iPhone in a Tesla while it was driving itself. Medical Beam Laboratories, LLC is developing the first dedicated veterinary stereotactic radiosurgery (SRS) device, which offers all of the human SRS device features and is specifically designed and optimized for pet cancer patient treatment (mainly for dogs and cats). Our goal is to offer an advanced robotic radiosurgery system (ARRS) that incorporates our Precision Robotic Treatment Head (PRTH) and enables physicians to deliver precise, customized, leading edge SRS treatment solutions. • Our 5 original founding members are from 3 countries: USA, Hungary, and China. • One of our founding members has successfully installed over a dozen stereotactic radiosurgery devices in 5 countries. To support student achievement and improvement, in the 2015-16 school year Greenville County Schools invested in, designed, and rolled out a comprehensive business intelligence and analytics solution known as GCSource. Delivering timely, relevant, interactive dashboards, ad hoc queries, mobile and performance analytics, notifications and alerts, GCSource provides answers at the speed of thought. Embedded within GCSource is an Early Warning Response System (EWRS). The EWRS is a comprehensive, evidence based dropout prevention tool, utilizing sets of customized dashboards and stoplight reports that identifies and tracks students’ attendance, behavior, and course performance (ABC) variables most predictive of on time graduation. • We are the largest school district in South Carolina (44th in the nation) with over 75,000 students and 10,000 employees. • Our graduation rate has improved over 20% since 2012. (72% in 2012, 87% in 2016). • Our goal is “Building a Better Graduate.” We believe that every student should graduate with more than a high school diploma, they should have college credit (Advanced Placement, Dual Credit), college credit in their major or an industry certification. 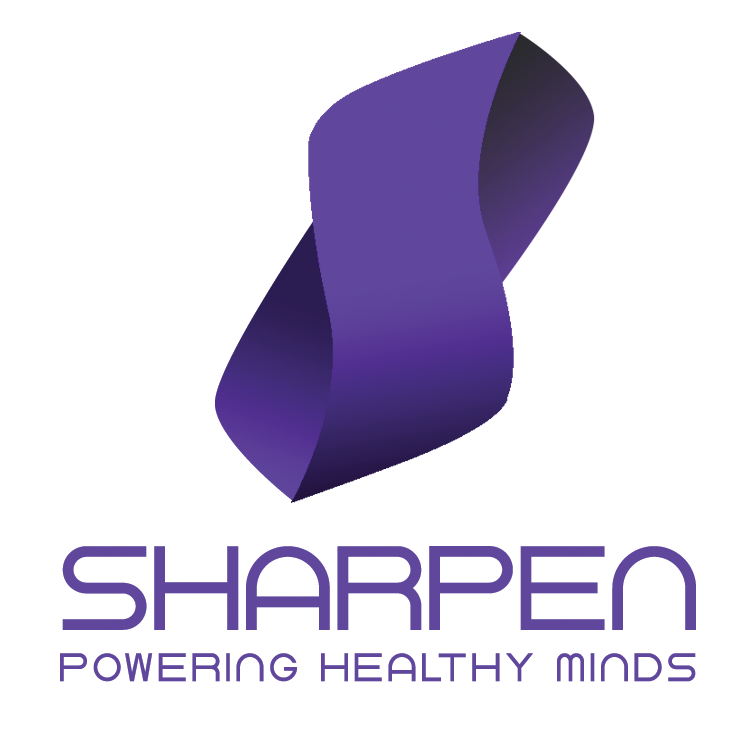 Sharpen is a South Carolina woman owned business and mental health technology company delivering award winning, Research focused content through sophisticated mobile and desktop applications. Sharpen provides educational resources that address the root causes of stress, depression and other mental health disorders that affect one in three Americans. Through the company’s technology and analytics platform, Sharpen is able to track the behavior of individual users and groups to create targeted recommendations using real time analytics and is the only platform to aggregate tools for such a wide variety of mental health related issues, all in a highly curated, evidence based and engaging format. • Co-Founders of Resiliency met working in the NYC theatre business over 25 years ago. They are now celebrating their 5th year of marriage. • The idea for the SHARPEN technology platform stems back to a Rock Musical that one of the co-founders produced in New York City. • The product’s original name was B: RESILIENT, but no one could spell it, so we changed it to SHARPEN. The Applied Research Center, LLC is a nonprofit small business located in the Savannah River Research Campus in Aiken, SC. ARC’s present research is focused on using hollow glass microspheres ranging from 0.1 to 100 microns as porous vessels to store specific contents for medical and anti-counterfeiting strategies. In the case of drug content, the spheres can be activated with Rf or ultrasonic energy sources to deliver their contents through thin porous walls. • ARC has established the most advanced, one-of-a-kind, research center in the world. Staffed by one of the original inventors of the technology. Applications include energy, environmental, homeland defense, medicine and specialty consumer products. • ARC is part of unique intellectual Property that has been licensed and resulted in three new businesses. Proof Biotechnologies are developing a low cost, disposable food safety label that changes color to indicate when food has spoiled. The Proof BioStrip detects bacterial contamination in food well before humans can smell the spoilage. Specifically, the Proof BioStrip detects chemical byproducts of protein decomposition caused by bacteria. The test strips will work on any food with animal based protein, such as pork, beef, fish, or poultry. In the presence of bacterially induced spoilage, the test strips will shift color in seconds from white to a deep purple, alerting the consumer of unhealthy levels of bacterial activity. Technology Development: Intervals by Milliken & Company (Spartanburg, SC); Medical Beam Laboratories, LLC (Greenville, SC) and Unlimited Power (Greenville, SC). Technology Integration: MV Therapy in conjunction with SIMT (Florence, SC); Resimplifi Inc. (Columbia, SC) and Singular Sleep (Mt. Pleasant, SC). Small Enterprise: Applied Research (Aiken, SC); Hoowaki (Greenville, SC) and Viatec (Greenville, SC). Education: Aiken County Schools (Aiken, SC); Greenville County Schools (Greenville, SC) and Softdocs (Columbia, SC). Sustainability: Breathe by Milliken & Company (Spartanburg, SC); Proof Biotechnologies (Columbia, SC) and tForm Inc. (Williamston, SC). Community Service: Gould Business Center, SIMT (Florence, SC) and Resiliency Technologies (SHARPEN) (Spartanburg, SC).